STLV18 Day Four – THE PICARD IS BACK! Star Trek Las Vegas Highlights and Giveaway! Star Trek Las Vegas 2017 – you don’t want to miss…. Taking place August 2nd - 6th at the Rio All Suites Hotel Las Vegas. Check out our last article detailing the main highlights of the event. The main talks most attendees will want to hear are the Wednesdays Star Trek Discovery panels and the TNG 30 anniversary reunion on Friday night (separate tickets needed for general admission). But there is so much more to STLV than panels. Having seen many of the big name guests I'm thinking about going more 'lower decks' this year. Here's some highlights from the jam packed schedule plus some things that aren't on the panel. 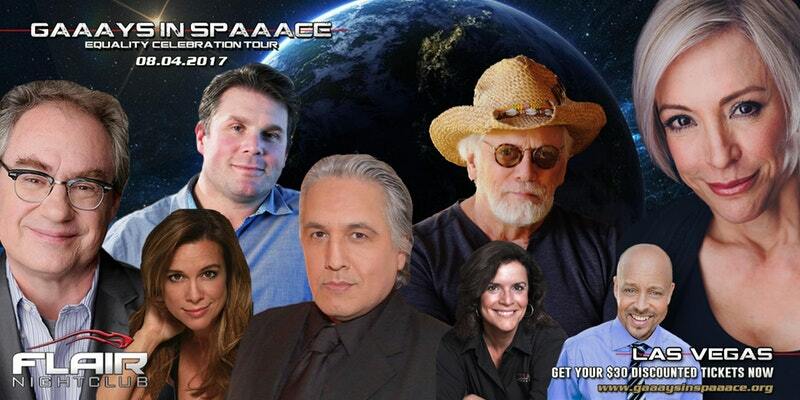 Win a Pair of Tickets to GAAAYS IN SPAAACE! Are you going to Star Trek Las Vegas 2nd - 5th August? 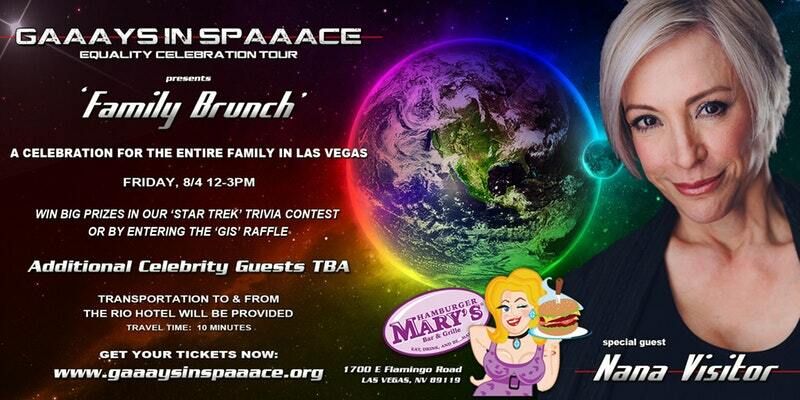 Even if you don't have tickets to the convention you can still attend the fabulous GAAAYS IN SPAAACE event and win a pair of tickets with the Trekkie Girls. Hosted on Friday 4th August at the newly opened club FLAIR, the evening party will include Star Trek supporters of GIS; Nana Visitor (Kira Nerys), Robert Beltran (Chakotay), J.G Hertzler (Martok), John Billingsley (Dr Phlox), Aron Eisenberg (Nog) and Chase Masterson (Leeta). For more info and to book tickets here. If you can't make the evening event (or you want to attend both) then head to the Friday Family Brunch at Hamburger Mary's. Book the Friday Family Brunch Here. What is Gaaays in Spaaace?